No conversation can begin in 2A girls without beginning with Union County's Emma Garrison. (pic above) She has dominated the individual race 2 years straight. 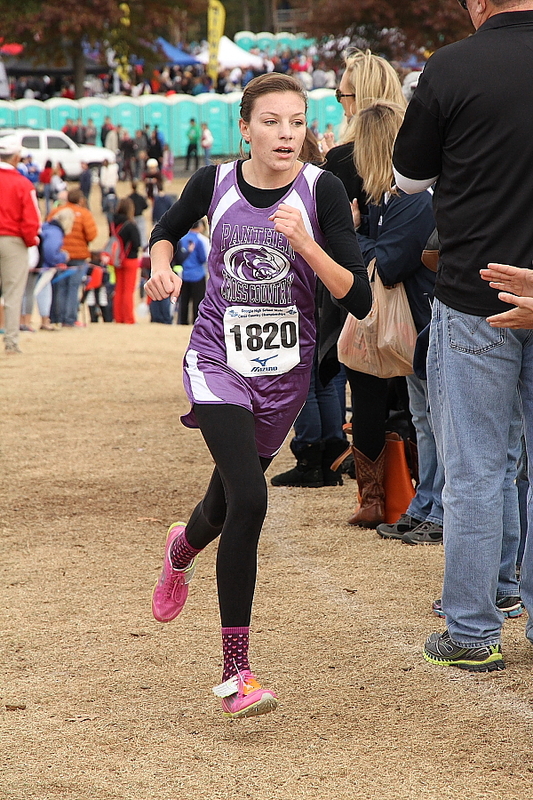 Union does not compete too far from home and therefore she does not have the fastest returning pr (18:52 at Riverside Military) But her 19:52 at State was :37 faster than...#2 Serena Tripodi of Lovett as she became a runningmate at practice quickly with departed Hailey Branch and could challenge Garrison this season. Tripodi had an excellent 2014 Outdoor season with pr's of 5:13/11:15...Darlington returns a pair of speedsters in Stephanie Ward and Kinslee Clevinger. Ward placed 9th in 1-A Private State (20:30) with a pr of 18:25 at Asics. Teamate Clevinger has a pr of 19:43 at Asics. WEsleyan has a trio of frontrunners back including Jordan Zimmerman, Kylie Reed and Ellie Bradach. Jr Ellen Powell from Bleckley County had a tough state outing (in all that Wesleyan-Westminster mess) but has experience, track speed. Powell has a decent pr of 20:21 on the testy Bleckley course her frosh season.